Owners of the Infinix Smart 2 and the Infinix Smart 2 Pro can now rejoice, as Infinix has officially released Android 9.0 (Pie) Update for the device in India. 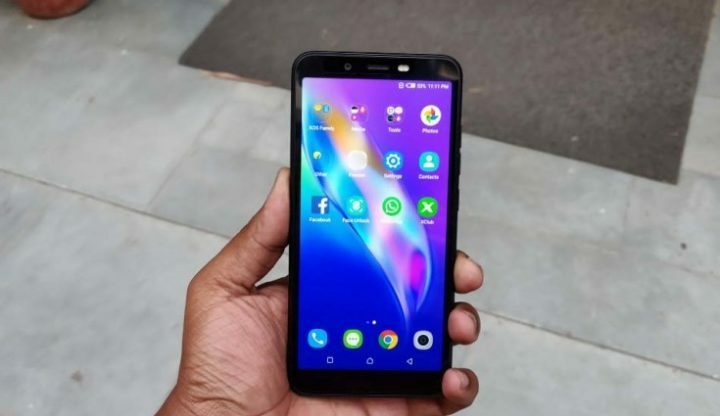 The update which is expected to reach all owners of the Infinix Smart 2-series, began sending earlier this week to owners of the device in Indian, and is expected to hit all smart 2 smartphones before ending of January 2019. Sincerely, it a good effort from Infinix, pushing a low end device like the Smart 2 and the smart 2 pro to Android 9.0 Pie even in the face of other bigger device and names, still hanging on Android 7.0 (Nougat). Having said that however, it is important to note that the Infinix Smart 2 and Smart 2 pro were both launched on on Google Project Treble, packing Android 8.1 (Oreo) out of the box. Which makes it easier to upgrade to Android 9.0 (Pie), even ahead of other high-end Infinix smartphones like the flagship Infinix Zero 5 Mobile phone. The update for the lucky smart 2 device owners, comes via OTA (Over The Air), and should be available in Settings=>About=>Updates. The update brings speed and OS optimizations to the device, while adding some features from Android 9.0 Pie. As a reminder, the Infinix Smart 2 series were both announced in 2018 with 5.5-inch HD+ Display. The device comes with Mediatek MT6739W Quad-core CPUs, Mali-GE8100, along with 1/2GB RAM and 16/32GB internal storage. There’s is a dual rear cameras, Fingerprint sensor and FaceID on the pro version, while the standard smart 2 has just a single rear camera with FaceID and no Fingerprint scanner.